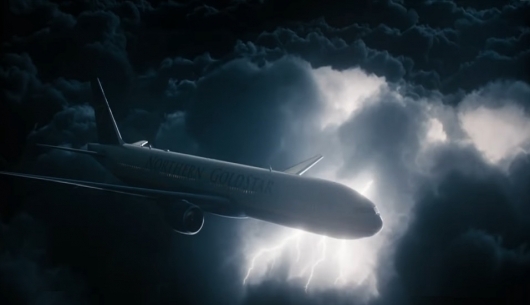 One thing you have to appreciate about the Cloverfield franchise is that it is building its own mythology without the films’ actually knowing its a part of J.J. Abrams’ grand mystery box scheme. 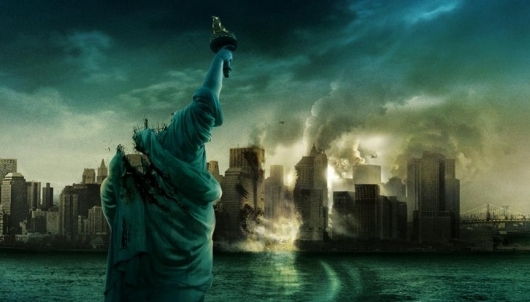 Cloverfield was a sci-fi romp that drew its found-footage inspiration from films like Blair Witch. 10 Cloverfield Lane was a more focused offering that was like a theatrical play set almost entirely in an underground bunker. And both are somehow loosely connected to each other without the characters of those films knowing it. However, Netflix surprised us all on Sunday night by releasing The Cloverfield Paradox, the latest installment of the Cloverfield franchise, this time set in space. The first look at Cloverfield Paradox aired during the Super Bowl on Sunday night, and in a huge surprise announcement, Netflix will premiere the film on their streaming service tonight after the Big Game! After being delayed multiple times, the film continues the vague and strange marketing campaign that the Cloverfield films are largely known for. Even finding out who will distribute the film was a mystery. But Netflix is no stranger to releasing big teasers on Super Bowl Sunday. They started to practice that last year with Stranger Things 2, and look how successful that turned out to be. Now the teaser offers a tiny sneak peek into J.J. Abram’s latest mystery box, and it is just as cryptic and strange as the last two. 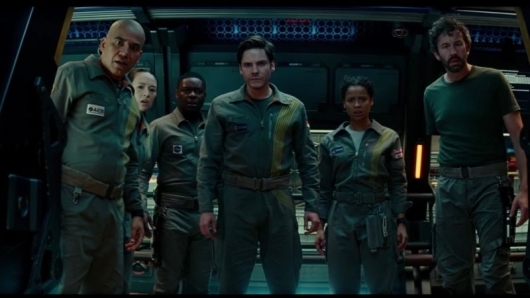 Check out the first look at Cloverfield Paradox here below. Back in January of this year came the surprising reveal of 10 Cloverfield Lane, director Dan Trachtenberg’s super secret “blood relative” to producer J.J. Abrams 2008 hit Cloverfield. Abrams made it very clear, however, that the movie was not Cloverfield 2. The two were connected, but part of something much bigger. Now that much bigger thing is beginning to become even more clear. It’s been revealed that a movie titled God Particle, which Abrams has been attached to as a producer for a while now, is another Cloverfield-related project. More info on the movie, what it’s about, and who stars, can be found below. One of the most anticipated page-to-screen film swoops in September. Miss Peregrine’s Home For Peculiar Children, the first in a trilogy (so far) by Ransom Riggs, is readying to fascinate and freak out children and adults alike. Directed appropriately by Tim Burton (it’s like Riggs wrote this just for him), the film stars Eva Green as Miss Peregrine, Asa Butterfield as Jacob, and Samuel Jackson as a new character, Barron, the Peculiars will arrive this Fall. Can’t wait for Miss Peregrine? Check out the inside look video here below. The film stars Eva Green as a foster mother to children with very peculiar powers, and protects them from those who seek to exploit it. She takes an interest in a young boy (Asa Butterfield), whom she believes will be their protector. Check out the trailer below. There is one thing you can count on from Tim Burton, and it’s that he has a knack for bringing out the art from the strange narrative. Though his most recent work has been a bag of mixed results, the filmmaker has stayed true to his style, never once wavering from it. 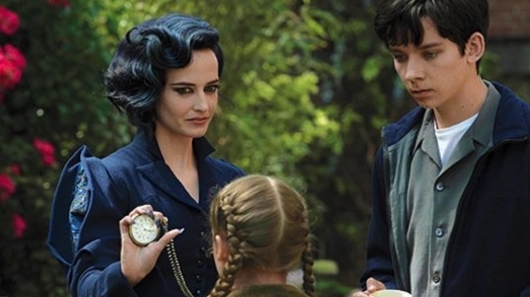 And that really shows in the first new trailer for Miss Peregrine’s Home for Peculiar Children. The film is an adaptation of the best-selling novel of the same name. Considering its title and plot, it seems like Burton was born to direct this film, which centers on a boy who is tasked with protecting a refuge for children with unusual abilities from those who seek to expose their sanctity. Check out the full trailer below, along with a poster for the movie. Starring James Franco, Chris O’Dowd, Jim Norton, Leighton Meester, Ron Cephas Jones, Jim Parrack, and Joel Marsh Garland. Two friends, George and Lennie, are traveling through California, looking for work at a farm or a ranch. Two friends who are just about as opposite as opposites can be, looking for that work more often than they care to. George is the smart, resourceful friend who takes care of Lennie, because well…Lennie ain’t quite right in the head. He has a hard time remembering stuff. He pets mice, pups, and ladies too hard. He can’t control his own strength sometimes. And George would have such a good life if he didn’t have to take care of Lennie, the “wine, women, and song” life…at least once a month. And George could settle in at a place, without Lennie getting in trouble and getting them run off. What do you get when you mix Daniel Desario, Thomas-John, Blair Waldorf, Reverend Lowdown, Camel, Hoyt Fortenberry, and O’Neill? 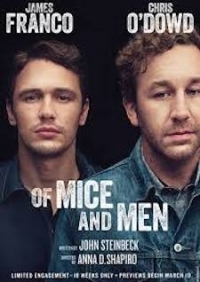 The cast of Of Mice and Men – PULLING IT OFF!! !